You’re driving down the highway when a strange light suddenly appears on your dashboard. What do you do? If you don’t know what the dashboard light indicates you could be inclined to just ignore it, which may result in unnecessary damage to your vehicle. In this Honda CR-V dashboard light guide, well help drivers like you from the Fountain Valley, Costa Mesa, and Newport Beach area learn more about the warning and indicator lights in your Honda and what to do if one suddenly turns on. 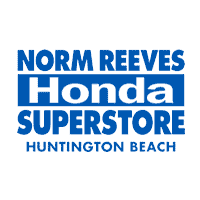 Our team at the Norm Reeves Honda Huntington Beach has provided this free educational resource. Before we get started, you should know that some of the Honda CR-V dashboard lights may turn on when you start the vehicle as part of a routine system check. The lights will stay on briefly before turning off. However, any light that doesn’t come on during the test, stays illuminated or turns on while you’re driving could indicate a serious problem. With that said, let’s take a look at some of the warning and indicator lights inside your vehicle. These lights show you which vehicle systems are on or off. Typically, a light only appears when the feature is in the default state. Condition indicators are like the on/off indicators but cover a wider variety of vehicle information and specifications. When it comes to dashboard lights, the ones you really want to be mindful of are the malfunction indicators. As the name implies, these lights could signal a possible problem with your Honda CR-V. If one of these dashboard lights turns on, it’s probably a good idea to pull over safely and contact a certified Honda technician. Charging system: This light, which resembles a car battery, tells you there’s a problem with the battery or alternator belt. If this light comes on, don’t turn off the engine. This could result in additional power loss. Instead, pull over safely and call a certified Honda technician. Low oil pressure: Resembling an oil can, this light indicates a loss in oil pressure. Without oil, your engine may overheat or seize. Check the oil level and contact your Honda dealer. Supplemental Restraint System: If this light stays on after startup or comes on while driving, have the vehicle inspected as soon as possible. Anti-lock brake system: Displaying the letters ABS, this indicator tells you there’s a problem with the anti-lock brake system. Restart the engine. If the light stays on or comes back on, have the vehicle inspected. Malfunction indicator lamp: You probably know it as the check engine light because of its familiar engine shape and the word CHECK that accompanies it. There’s a multitude of reasons that this light may come on, so youll want to have it inspected by a professional technician. We hope you found this Honda CR-V dashboard light guide helpful. If you didn’t find the light you were looking for or if you think your Honda CR-V needs servicing, contact us at the Norm Reeves Honda Huntington Beach. Serving the communities of Fountain Valley, Costa Mesa, Newport Beach, and beyond, we make it easy to schedule a service appointment and have your vehicle running like new again.